Viennaroo: I give in.. It's fall. This year summer came and left almost unnoticed - at least where I live it did. It was cold, rainy and just not summer at all. Yes, we had a few very warm days but that was by far not enough. I didn’t go on vacation anywhere this year so I couldn’t even enjoy a full week of summer somewhere else. What did it for me though was going into Depot to shop for a make-up mirror. For those who don’t know, Depot is one of the cutest home décor shops I have ever been to. And there it was. Fall! The entire shop screamed fall from every possible angle in every possible way. The fall décor was so adorable that all of the sudden I got really excited about the seasons changing. Finally! I bought some décor stuff and – of course - no make-up mirror and rushed home to give my apartment a fall makeover. 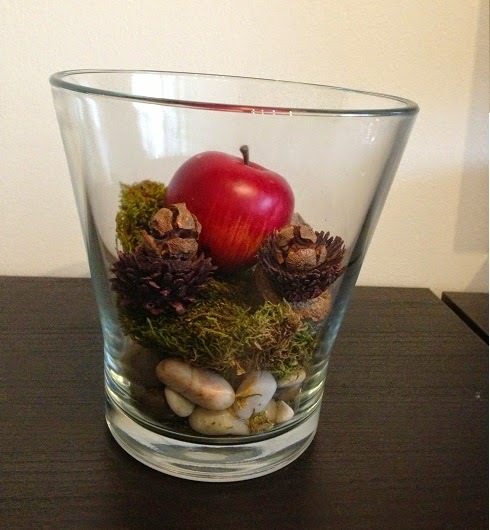 For this vase I only had to buy artificial apples and popcorn. The candle is made out of plastic and can be lit by a switch at the bottom to get a burning effect. 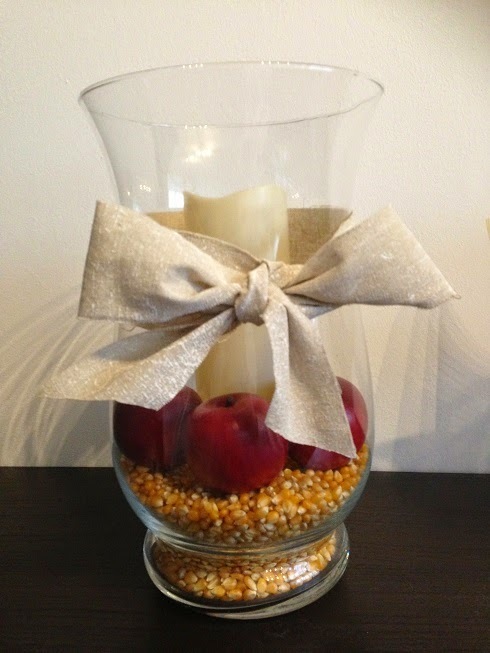 I tied a ribbon around the Vase to complete the look and to make it less "naked looking" at the top. 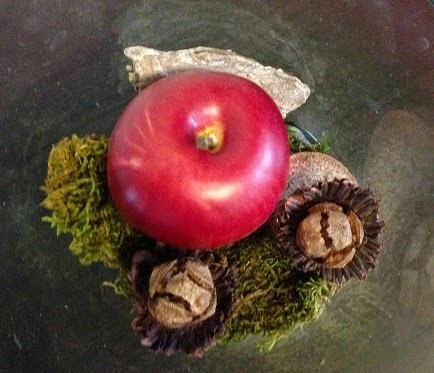 I also put an artificial apple in another vase with some moss and other stuff that was in a potpourri mix I bought from Depot. 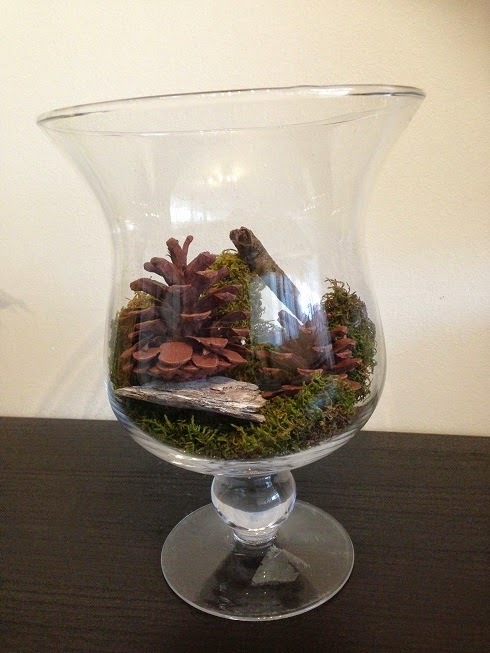 The stones at the bottom were in the vase before with some spring déco stuff so I just left them there. 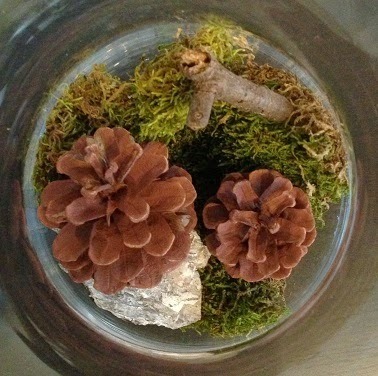 Last but not least I brought a piece of forest into my living room. I used the leftovers from the potpourri mix and just had to arrange them.